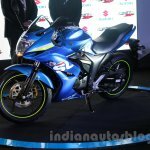 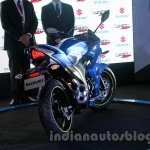 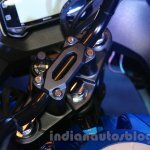 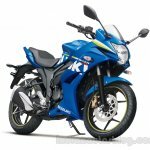 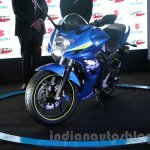 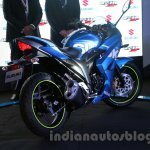 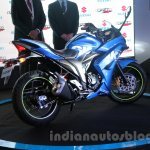 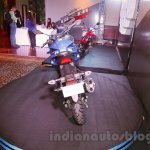 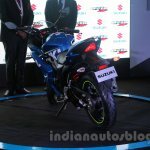 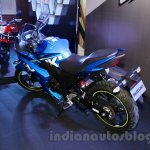 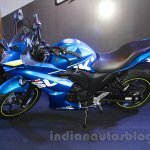 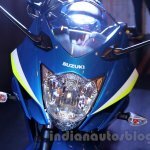 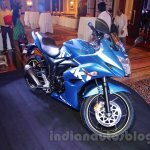 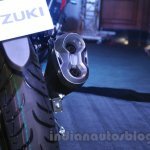 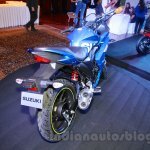 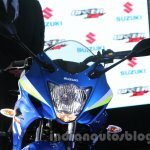 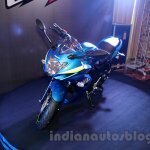 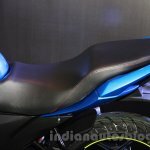 Suzuki Motorcycle India today launched the Gixxer SF, which is nothing but the faired version of the Gixxer motorcycle introduced in the country last year. The Gixxer SF is priced at INR 83,439, ex-Showroom, New Delhi. 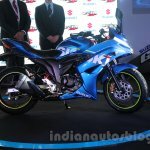 The Gixxer SF's fairing is designed for maximum wind protection for the rider, claims the company. 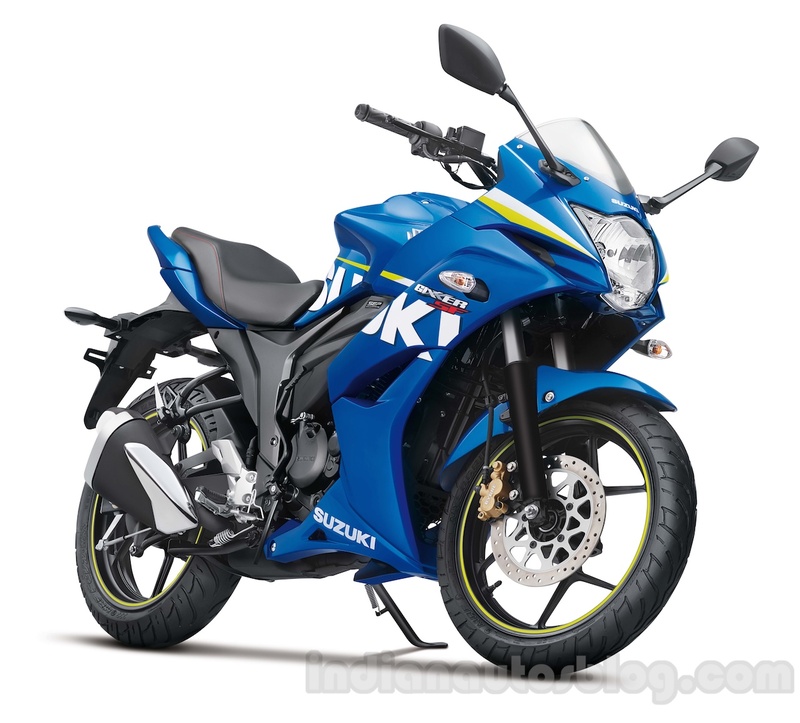 The Japanese manufacturer claims the Gixxer SF features an 'aerodynamic sports fairing' for a MotoGP-inspired look. 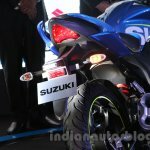 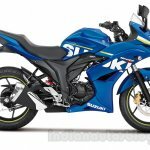 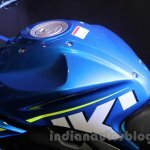 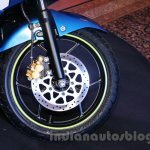 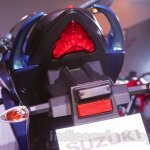 Further, Suzuki says that the Gixxer SF's fairing has been developed in the same wind tunnel as the one used for the Hayabusa, GSX-R and MotoGP machines. 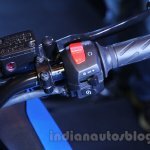 Power for the motorcycle comes from a 154.9 cc air-cooled, carburetor-fed, single-cylinder engine capable of 14.8 PS at 8,000 rpm and 14 Nm of torque at 6,000 rpm. 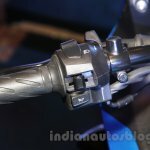 The transmission is a 5-speed unit. 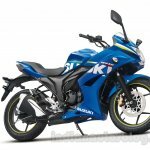 The bike measures 2,050 mm in length, 785 mm in width, 1,085 mm in height and 1,330 mm in wheelbase. 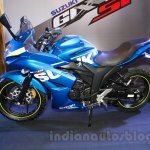 Equipped with a 12 liter tank and a 160 mm ground clearance, the Gixxer SF weighs 4 kg more than the regular Gixxer at 139 kg. 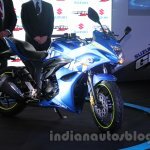 The Gixxer SF weighs 4 kg more than the standard Gixxer. 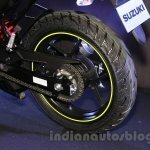 Suspension duties are carried out by a telescopic fork in the front and a 7-step adjustable monoshock at the rear. 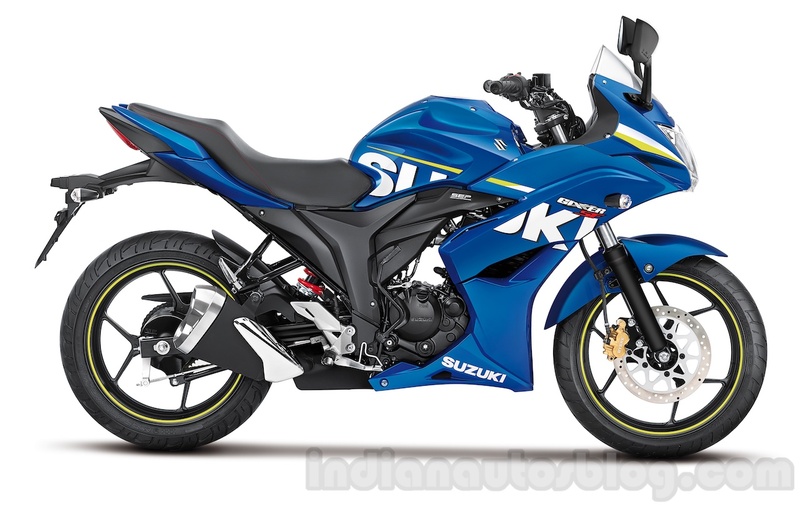 For braking, the Gixxer SF relies on a single disc up front and a drum brake for the rear. 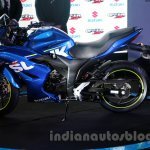 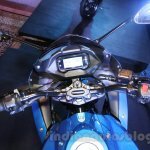 The Gixxer SF gets a maintenance free 12V, 3Ah battery, an LED taillight, clear lens indicators, a digital instrument console with gear shift indicator and an aluminium muffler cover among other features. 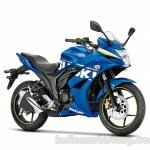 Three colors namely Pearl Mirage White, Glass Sparkle Black and Metallic Triton Blue are available on the Gixxer SF. 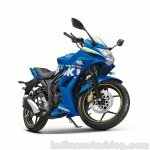 The latter is a special edition celebrating Suzuki's return to MotoGP racing this year.